The XC90 offers a spacious, sumptuously trimmed cabin; decent fuel economy from its 4-cylinder engines; and loads of innovative and unconventional features that set it apart from its competition. Headroom in the third-row seat is cramped for adults, and the touchscreen control interface complicates some functions. 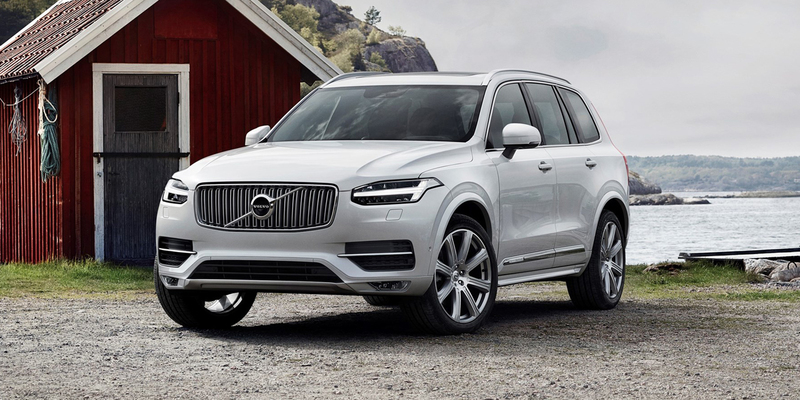 Volvo also offers a significantly pricier plug-in hybrid version of the XC90 called T8. 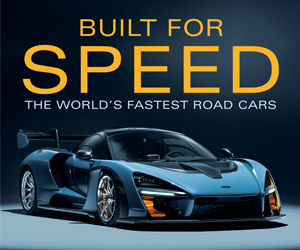 It uses the same 4-cylinder powertrain as the T6 models, but it makes a total of 400 horsepower with the help of a 60-kilowatt electric motor that drives the rear wheels. 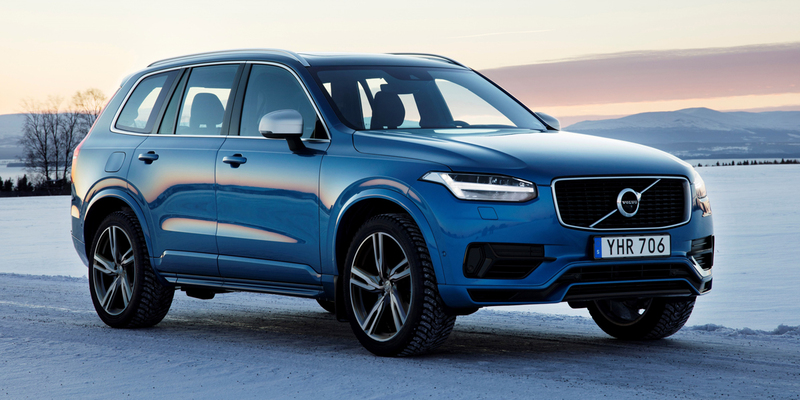 The XC90 is Volvo’s three-row midsize SUV. T5 models come with a 250-hp turbocharged 2.0-liter 4-cylinder engine; T6 models have a 316-hp turbocharged and supercharged 2.0. All have an 8-speed automatic transmission. Both T5 and T6 are offered in base Momentum and sporty R-Design trim; the luxury Inscription trim level is restricted to the T6. T5s offer front-wheel drive or all-wheel drive; T6s are AWD-only. Available features include integrated second-row booster seats, height-adjustable air suspension, pedestrian and cyclist warning/braking system, lane-departure warning, blind-spot and rear cross-traffic alerts, 360-degree around-view camera, a Park Assist Pilot feature that automatically steers into stall-type spaces, and semi-autonomous Pilot Assist adaptive cruise control that will automatically mimic the speed and steering of a vehicle in front of the XC90 at speeds under 30 mph. Three-row, seven-passenger seating is now standard on all regular-line XC90s; standard-equipment levels and option packages are shuffled; and R-Design and Inscription models get a new Harman Kardon stereo system. 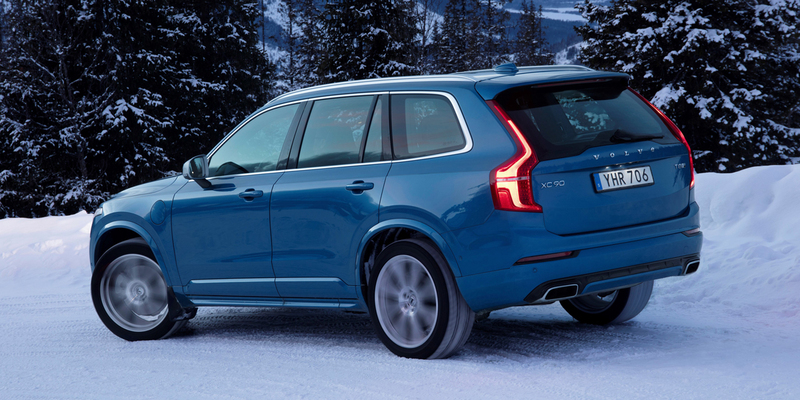 The EPA rates the XC90 T5 at 22 mpg city/29 mpg highway with front-wheel drive and 22/28 with all-wheel drive. The T6 is rated at 20 mpg city/27 mpg highway. In Consumer Guide® testing, an all-wheel-drive T6 Inscription averaged 19.4 mpg in 65-percent city driving. 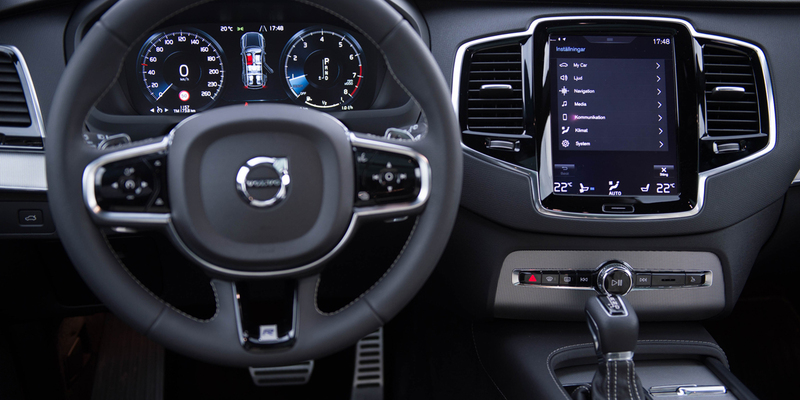 When the XC90 was redesigned from the ground up as a 2016 model, it inaugurated a bold new design direction for the Volvo brand and garnered well-deserved rave reviews—and it remains one of the best vehicles in its class. 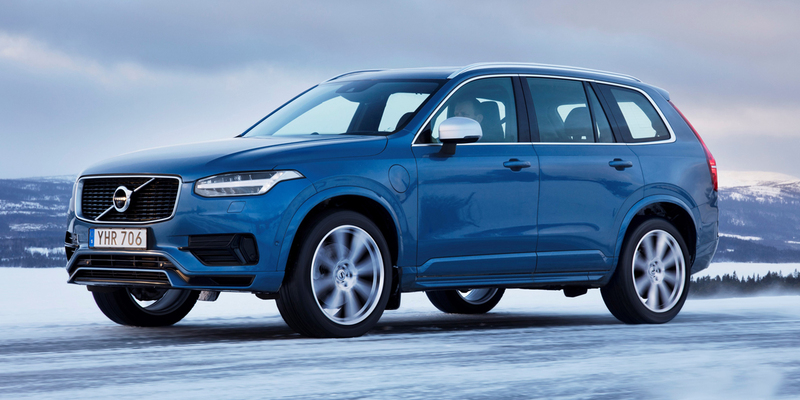 A 4-cylinder engine is certainly an unexpected choice for a vehicle of this size and weight, and in base T5 form the XC90’s 2.0 sometimes struggles to move it in a smooth, seamless fashion. Despite this, the XC90 has a truly luxurious feel inside and out. 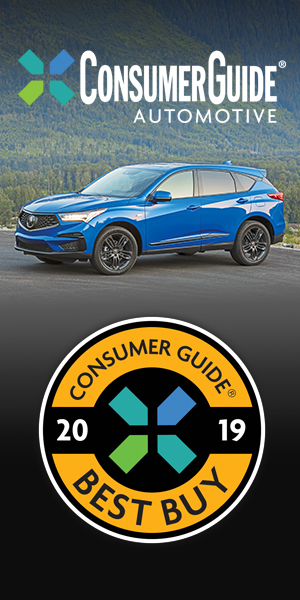 Its classy presence, long list of desirable features, and class-competitive pricing make it a premium midsize SUV standout. AVAILABLE ENGINES 250-HP, Turbocharged 2.0-Liter 4-Cyl. ; 316-HP, Supercharged and Turbocharged 2.0-Liter 4-Cyl.